Buy now for $12 through Paypal. Conceived and recorded in ‘99 and 2000, No. Twelve was primarily designed as a musical thank you to the wonderful friends we made during the three years Leslie and I worked in northern Louisiana. Half the songs are a tribute to the talented people and exciting culture of that great state. No. 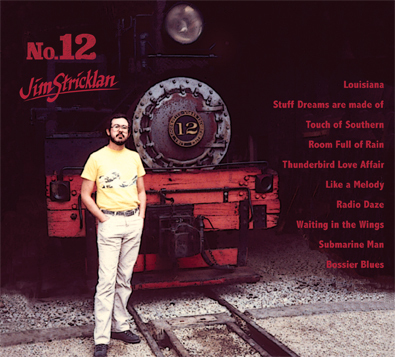 12 was recorded with the help of George Coyne at Parrot Tracks in Manchaca, Texas. My chief musical collaborator on the album was John Simons, an amazing bass player I met in the mid-nineties. John played with Larry and me at the old Austin Music Hall (see photo) and it was a pleasure to work with him on this record. 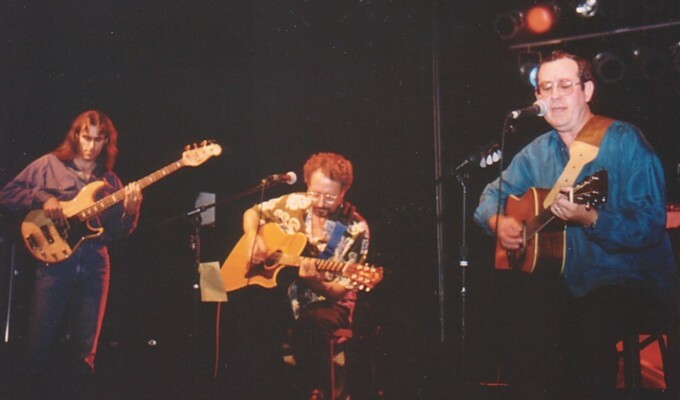 John Simons, Larry Rothwell and Jim performing at Austin Music Hall.